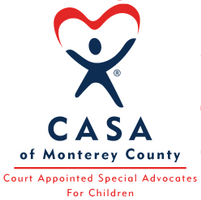 CASA of Monterey County improves the lives of foster kids by pairing them with trained volunteers who advocate for them in court and the community, and who stand by their side as reliable adults. No experience is necessary. We seek big-hearted volunteers who are willing to stick with a child and help them navigate through the foster care system. We provide all the training you’ll need, plus a dedicated staff supervisor to provide resources and support. We average 90 children on our wait list- we need your help! For more details and to register, please call Kathryn at 831-455-6800 ext 31, or email recruitment@casaofmonterey.org. RSVP appreciated, but not required. Walk-ins welcome.